See our latest meetup and what I recommend from Halcyon on Lower Greenville! 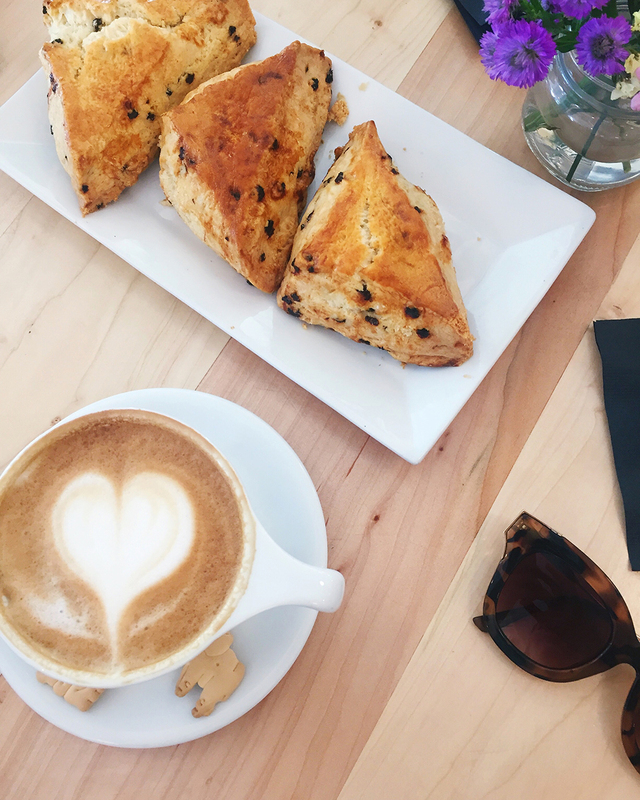 I normally host a monthly Dallas Blogger Brunch for bloggers to network, build community, and eat some delicious brunch, but this month I'm doing a few special events and one of them was a meetup over the weekend at Halcyon on Lower Greenville! I wanted to plan a more informal event this month and Halcyon was the perfect place to host the event! Halcyon is fairly new to Dallas and boasts a full food menu, coffee bar, and happy hour beverages, so we had plenty of options to choose from. One of my favorite things that they do is serve their hot coffee with animal crackers on the saucer- what a fun detail! These chocolate chip scones were so yummy and it was tough not to keep nibbling on them while we were chatting! We sat inside and had a great time meeting one another and exchanging information, talked about potential collaborations between bloggers, and even took some photos on the patio afterwards. I love our group photo because this was such a fun group of ladies and each of them was excited to learn, grow their business and blog and connect with others doing the same thing, which always makes for a successful meetup! One of the best surprises is when our waiter brought out a tray of s'mores supplies and we got to make our own s'mores- what a treat! Who doesn't love s'more?! We had a great time connecting, taking photos, and learning from each other during our time at Halcyon and I can't wait to go back. Their bright, spacious interior makes it a great place to grab food with friends or to lounge on a sofa with coffee during the day! If you're in Dallas, definitely stop by for a visit- and definitely order the s'mores! Thank you to Halcyon for hosting our Dallas Blogger Brunch meetup! PS. My palm print romper is sold out, but I linked a few of my favorite palm print items below!